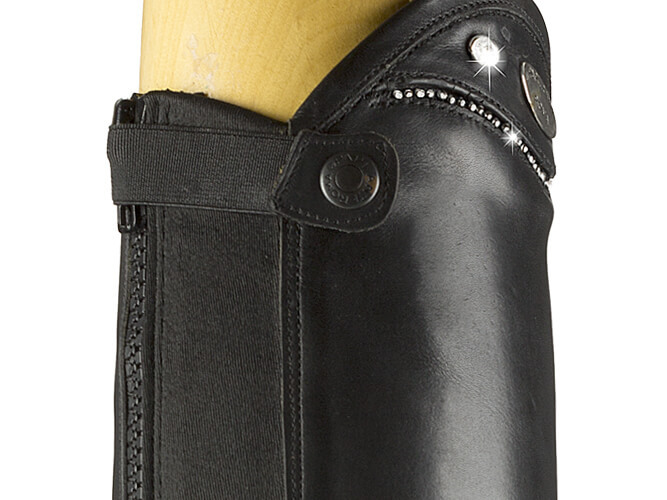 Entirely handmade Mini Chaps made with superior quality calfskin leather. Inside 100% natural calfskin leather lining, Swarovski® decoration, YKK® zipper. 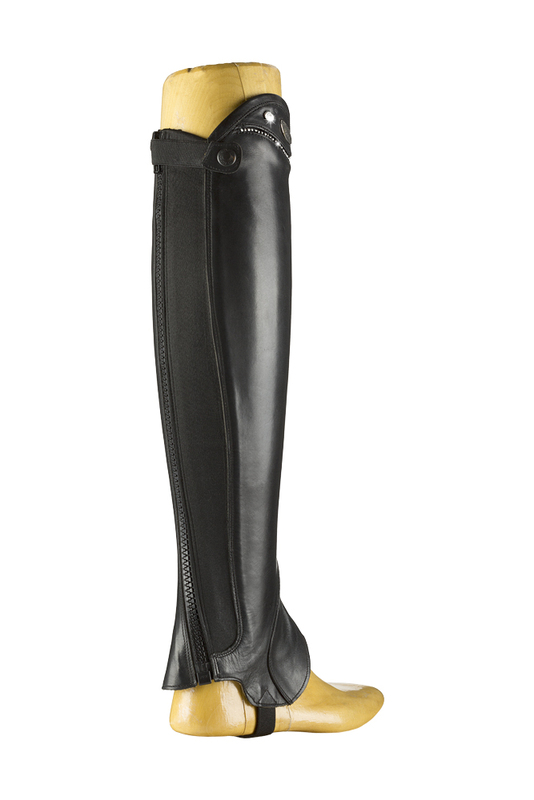 • Picture: Swarovski® mini chaps in black calfskin. The pure elegance of the classic. 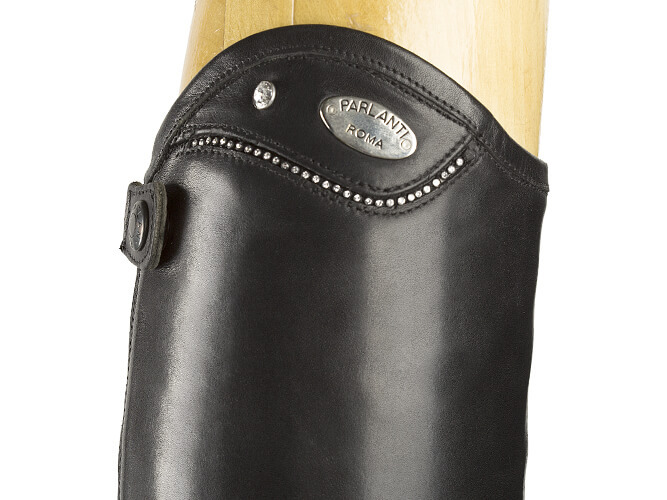 Produced with soft top quality leathers, the Swarovski® Mini Chaps are dedicated to female riders who want to add a touch of class and refinement to their riding suits. 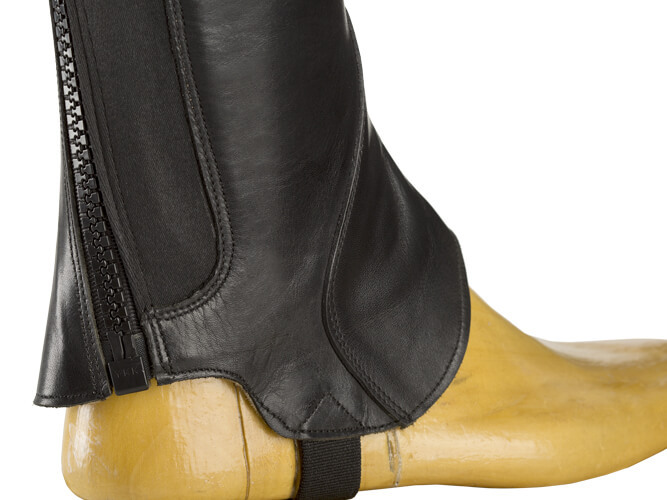 The elastic leg, fully lined in calfskin, is designed to work perfectly in tandem with our Ankle Boots and ensures constant comfort even after hours of work. The YKK® rear zipper guarantees prolonged use over time and the seams, made of 100% multifilament polyester, withstand the harshest of stresses.